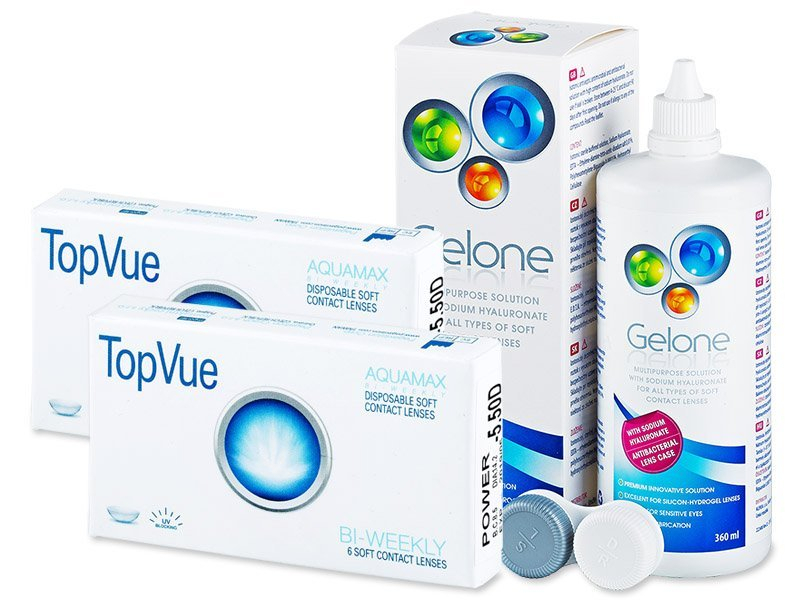 This package contains six TopVue Bi-weekly contact lenses and a 360 ml bottle of Gelone solution. These hydrogel lenses are equipped with sodium hyaluronate, which provides exceptional moisture and comfort. Pleased with the products and quick delivery. Thanks.